Problem:- Variable declaration and initialization in java. 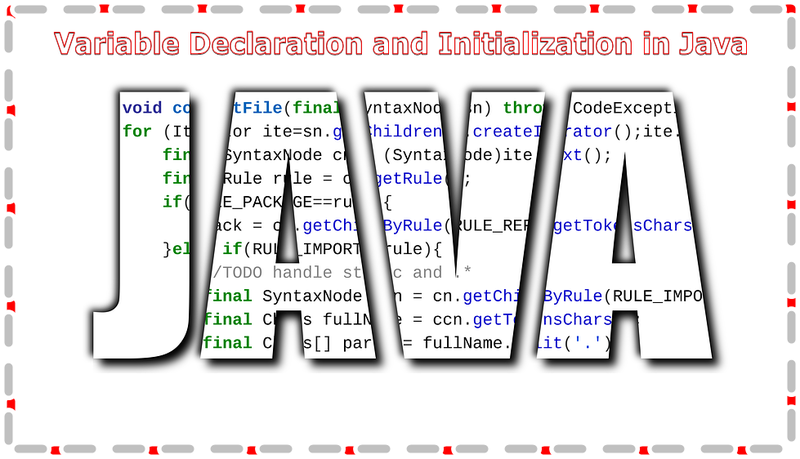 How to initialize and declare variables in Java or declaration of variables in java or variable initialization in java. Please read all rules for Variable Declaration and Initialization carefully cause Java is a case-sensitive language so one mistake can be the cause of hundreds of error. 1. Import All Necessary Header File Or Library Or Package What Ever You Called them. 5. If You Need Any Help Our Expert Always With You Here Your Java Expert Is Prashant Chaturvedi Sir.